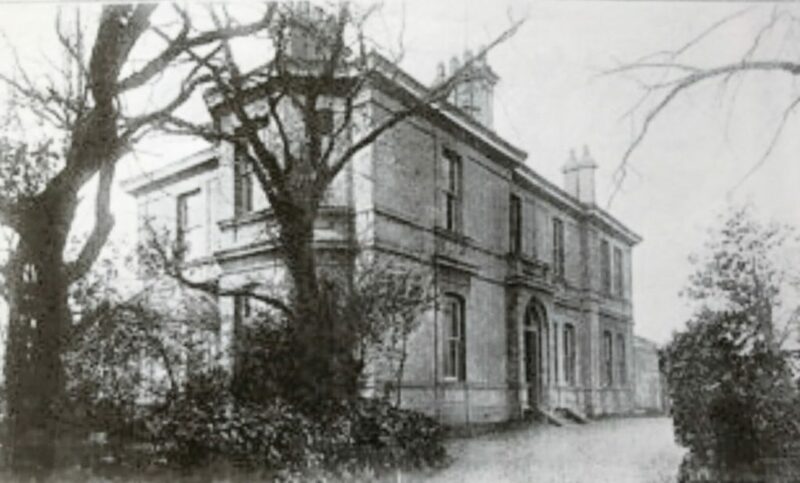 Holly Lodge in Smethwick was a substantial residence built in the early 1860’s by William Downing on the back of his successful malting business. The date of its construction is connected with the proceeds of the large auction of properties held at the Swan Inn on 18 Apr 1859. This was essentially the winding up of the estate of Elizabeth Downing, William’s widowed mother and reallocating 27 acres of land around Holly Lane that had been inherited by William and his brothers George and Thomas. The previous residence of William Downing called ‘Holly House’ together with malthouses was situated on the corner of Holly Lane and Oldbury Road, parts of which appeared amongst the 43 lots up for sale. William Downing had a young family left at the death of his first wife in 1851 and with his second marriage to Susan Lee in 1856, Holly Lodge became the new home. Thomas Lee Downing and his sister Fanny were born there in the 1860’s. William’s unmarried children by his first wife, George and Louisa Jane also lived there for a time. William Downing himself died there on 9 Jan 1901. After 1920 and the death at the age of 92 of Susan Downing the Lodge was sold and became a school. It still stands today.